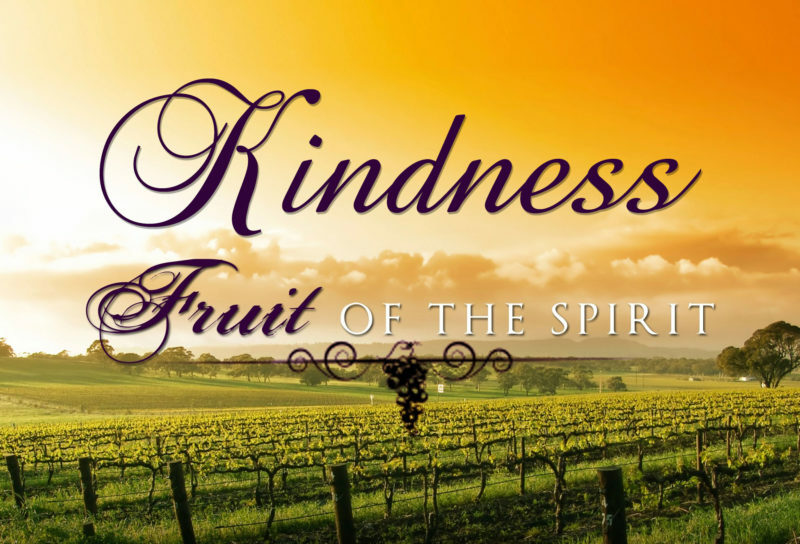 The concept of kindness is one that we all should strive to attain for, not simply because God expects it of us, but rather, because being kind to someone will often lead to situations where they are kind back to you, or others, and by spreading the kindness around, it helps to combat some of the hate that exists in the world. In many ways, being kind to someone is more helpful to you than it is to them. Let’s look at an example. If you are kind to someone, but they don’t show the same kindness back to you, many times it could lead you to not be kind to the next person you meet. But if you look at those that are always kind to others, then despite someone not being kind to them, it doesn’t affect them. That is what I am trying to illustrate when I say that it is sometimes more helpful to you than them. The sad reality from my eyes is that attitudes are infectious, and far too often the wrong attitude is what is on display, which then leads to more people having that wrong attitude. Can you imagine what the world would be like if everyone was more positive, simply put, more kind, and that kindness spread just like the wrong attitudes do? It all starts with you. It all starts with me. If we each go out of our way to foster that incredible sense of kindness towards others — even if it is just in small ways — then maybe the infection of kindness will spread, and this world will be better off. Now, please join me in praying with us our prayer requests and praises. Sheila starts us off with a health worry: Went for a checkup on my eye today, because it was bothering me. As it turns out I have a small tear in my retina. So I will be having laser surgery a week from today. Please pray for me. Her surgery is on Friday, July 28, please keep her in prayer that day especially, but also pray for God’s Peace to comfort her. Stephanie shares with us a reminder that God is in control: I’m not the kind to be public about my prayers and the like but felt led to share this experience. Last week I had the opportunity to interview for my dream job. I called today to get a status and lo and behold, the position had been filled…. wow. Hit me like a sack of bricks because I felt confident. Felt like it was where I was suppose to be. But, I didn’t get the job. The plus side is I get to be with my daughter. But that’s not the point to this. I began to question God… he gave me this opportunity why let me down? Why didn’t I get the job…?? Well, I’ve been doing a thing called scripture writing. I’ve been way behind this month so am playing catch up. Tuesday I got to July 4 and had every intent of finishing a few more but never got around to it. Tonight, at 11:30pm I made myself do a few. I did tonight’s writing and July 5… the one I was going to get to on Tuesday and never did. The one I should have done on July 5 but never did. The passage was John 13:1-7. It goes on to say how Jesus washed people’s feet and got to Simeon Peter… Simeon Peter asked Jesus if he would wash his feet in which Jesus replied… “You do not realize now what I am doing, but later you will understand.” Stephanie, you don’t realize now why someone else got that job, but later you will understand. If this wasn’t a God moment I don’t know what is. Granted the two situations are different I feel like the message is the same. We don’t always know Gods plan. We don’t. But. We serve a mighty God who is in control, who does know the plan… I may not have gotten the piece of mind with a job offer but I did get a reminder that God has this situation in his hands. Julia has a prayer request: Next week, my son, my sister, and I are going to New Orleans for our first vacation in three years. We made the plans back in April. I was afraid we would have to reschedule, because I have a foot wound that is healing very slowly. I prayed about it and tried to decide what would be the best decision. Just yesterday, I was browsing on Amazon for something else, and this page appeared — a marvelous device that will allow us to go with no mobility issues (see the link below). Here’s praying that we’ll have safe travels and a wonderful time. Jodi has a Praise to celebrate: Praise! Thanks for the prayers! I passed the whole application process for VIPKID! I now need to do the administrative stuff (turn in tax form, send copy of diploma/transcript, get profile set up, etc.). I’m excited to start this new adventure! Shannan has a praise report on her friend Darleen and her surgery: We have a praise report on Darleen! Though she did have to have a pacemaker placed today, she has been seen laughing a bit today and moved out of the ICU to a cardiac unit! She isn’t out of the woods so keep the prayers coming. Keep the prayers coming please! On August 8th, at Edenton Street UMC, the Men’s Study Bible Study has it’s annual invitation dinner and sign up for the next study. Please be in prayer for the study, for it’s leader Russ Andrews, for all of the men local to Raleigh and Durham, NC, that they would be led to come to the dinner, and most importantly, that they would be led to dig into God’s Word. If you are reading this from the Raleigh, NC area and want more information, reach out to me and I’ll be in touch. Lastly, we lift up all the anonymous prayer requests for all of those that are afraid to ask, for those that don’t know the words to say, and for those that just don’t have faith.